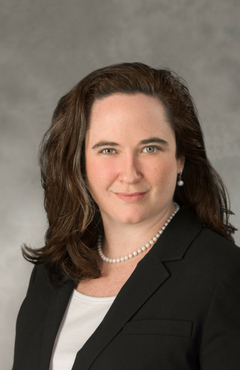 Mary K. Wrightson is an associate in the Washington, D.C. office of Tiber Hudson LLC on a contractual basis. Ms. Wrightson’s practice focuses on complex commercial litigation, including public and private construction, and government contract disputes. She has handled matters including suretyship, construction, architecture, engineering, design, procurement, contract, fraud, and employment disputes. Ms. Wrightson has been on the front lines of contract drafting and negotiation, dealing with matters related to commercial leasing, construction contracts, software and IT infrastructure agreements, as well as business start-ups. Ms. Wrightson has more than 10 years of experience in the litigation field. As litigation counsel for owners and contractors at every tier of the construction contracting process, Ms. Wrightson has developed the skills and insight to resolve construction disputes quickly and efficiently. She has successfully defended owners, general contractors, and subcontractors against claims, as well as filed complex mechanic’s liens and prosecuted claims on behalf of contractors and sureties. Ms. Wrightson was outside counsel for the first new-construction chancery built outside of the District of Columbia. She has represented international entities and governments, successfully obtaining judgments in their favor. Her practice has taken her across most of the United States and has involved work with international bodies. Ms. Wrightson has drafted organizational documents such as articles of incorporation and operating agreements, in addition to dissolution and withdrawal documents for multi-million dollar limited liability companies, professional corporations, and partnerships. She has also worked as outside general counsel for businesses who choose not to have in-house counsel, advising on general business and compliance matters. Ms. Wrightson holds a Bachelor of the Arts degree from the University of Virginia and a Juris Doctor degree from the George Washington University School of Law. She is a member of both the Virginia and Maryland Bars. She is also a member of the American Bar Association, the Fairfax Bar Association, and the National LGBT Bar Association. She is a dinosaur enthusiast, has taken up rock climbing, and enjoys traveling in her free time.